Witch Hazel is as witchy and magical as the name suggests. A peculiar plant with distinctly, fringy yellow flowers, Witch Hazel is often called "snapping hazel" for the peculiar way its fruit "snaps open" and ejects seeds upon reaching maturity. Not only is Witch Hazel bewitching to look at and amusing to listen to, its magical power is even more captivating. Witch Hazel is well known for its use as a dousing rod, capable of locating water. A Witch Hazel dousing rod will give a characteristic tug signaling that there is water nearby as it tries to draw from it. Keep this in mind when using Witch Hazel in magical practice; just as Witch Hazel tries to draw on water nearby, so too is it capable of drawing other energies to you, like love or clairvoyant energy. Witch Hazel has an interesting and quirky habit of blooming during the Winter, hence its nickname, "Winterbloom." And unlike most fruit-bearing plants, Witch Hazel tends to hold on to last year's fruit while flowering in the new year, hence its genus name Hamamelis which means, "together with fruit." Witch Hazel gets its name from being commonly used to craft divination rods and its resemblance to the hazelnut tree. The Old English word for “witch,” wice, meant “pliable,” as it was thought that witch could bend other’s will. 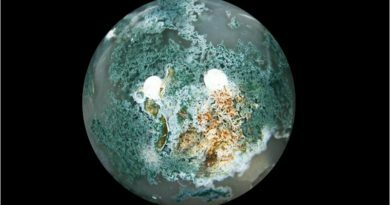 Its has protective, divinatory and clairvoyant energies, and can be used in purification and banishing rituals. Native Americans used the seeds medicinally and to divine whether or not a patient would recover from a certain illness. They introduced the plant to American settlers, who quickly adapted it into colonial life. Witch Hazel can be found in North America towards the Eastern half of the country, Japan and China. Witch hazel can temper passions as it is a herb of chastity. Witch Hazel bark and twigs can be used to for protection from negative energies. Place Witch Hazel in sachets and charms to heal a broken heart. Due to its affinity for water, witch hazel can be used in water magic, and witch hazel twigs can be used to locate water underground. When applied to old furniture, Witch Hazel can restore it by softening the surface. Keep Witch Hazel twigs, petals and seeds near your altar or sacred space to assist in heightening clairvoyant, divinatory and magical energies. Consider making a wand from Witch Hazel branches. A Witch Hazel wand is especially potent at protection and warding, as well as banishing negative forces. A Witch Hazel wand is also effective at locating water. Carry a sachet of Witch Hazel seeds and flowers for its protective energies, or to attract love. Use Witch Hazel seeds in spells for communicating with spirits. The seeds can also be used in divination. Add a Witch Hazel infusion to bath water in order to attract love. Make a healing poppet and stuff it with Witch Hazel leaves and flowers, then dress the poppet with healing oils. A Witch Hazel poppet is especially potent for skin disorders such as eczema and acne. Witch Hazel is widely known as a popular, natural skin toner and cleanser. As an astringent, is able to minimize the appearance of pores and clear oily skin, as well as prevent against future blackheads and pimples. Another popular use of Witch Hazel is minimizing swollen veins. Witch Hazel is a natural remedy against varicose veins when applied topically. Just remember to elevate the area in question so that the veins aren't subject to extra swelling due to blood pressure before applying Witch Hazel. Witch Hazel is prominently featured in many over-the-counter hemorrhoid ointments and creams for good reason -- it provides relief. Witch Hazel is a natural remedy for hemorrhoids. Mix it with aloe and apply to the affected area for soothing relief. Witch Hazel is quite effective in treating sunburn. A concoction of Witch Hazel and Aloe should help slow any inflammation, with the Aloe helping to cool the burn. This remedy will also help lessen any peeling that might occur subsequently. Witch Hazel's astringent nature makes it more than ideal in treating those stubborn under eye bags and dark circles, as it can tighten up the skin and lessen any puffiness. Be very careful not to get any Witch Hazel in the eyes, or it will burn like the dickens! Soothe baby's diaper rash with a little bit of Witch Hazel. You can dab a small amount on a cotton ball and clean baby's rash with immediate result. Apply Witch Hazel to unsightly bruises a couple times a day to dramatically reduce their appearance. Witch Hazel makes the perfect aftershave. Apply a modest amount on an area after you've shaved it to stop razor bumps before they develop. Applying a little Witch Hazel to the skin while pregnant can help minimize the formation of stretch marks. For the stretch marks you might already have, spraying a little Witch Hazel around the stretch mark can help tighten the skin and lessen the appearance. Be sure to bring Witch Hazel on your next camping trip. In case you brush up against poison ivy, Witch Hazel can help soothe the itch. It can also help with bug bites. What are Your Thoughts on the Magic of Witch Hazel? What do you think about Witch Hazel and its wonderful, magical properties? Do you have any other creative ideas on powerful ways to use this herb? Is there an herb or plant you would like us to discuss? What bring you to this article today? We'd love to hear from you! "Witch Hazel." HERBS-UVWXYZ. N.p., n.d. Web. 16 Aug. 2016. 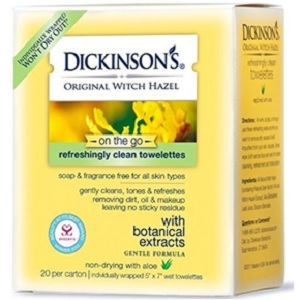 "Witch Hazel Leaves Organic." 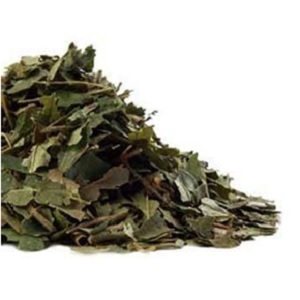 Star Child Herbs: WITCH HAZEL LEAVES. N.p., n.d. Web. 16 Aug. 2016. "Witch-hazel." Wikipedia. Wikimedia Foundation, n.d. Web. 16 Aug. 2016. "Witch Hazel." Witch Hazel. N.p., n.d. Web. 16 Aug. 2016. Witchipedia.com. (2018). Witch Hazel - Witchipedia. [online] Available at: http://www.witchipedia.com/herb:witch-hazel [Accessed 7 Apr. 2018]. Taft, D. (2018). The Magic of Witch Hazel. [online] City Room. Available at: https://cityroom.blogs.nytimes.com/2013/11/27/the-magic-of-witch-hazel/ [Accessed 7 Apr. 2018]. Softschools.com. (2018). Witch hazel Facts. [online] Available at: http://www.softschools.com/facts/plants/witch_hazel_facts/1314/ [Accessed 7 Apr. 2018]. Encyclopedia.com. (2018). witch hazel facts, information, pictures | Encyclopedia.com articles about witch hazel. [online] Available at: https://www.encyclopedia.com/plants-and-animals/plants/plants/witch-hazel [Accessed 7 Apr. 2018]. Natural Living Ideas. (2018). 14 Reasons Why Witch Hazel Should Be In Every Home. [online] Available at: http://www.naturallivingideas.com/witch-hazel-uses/ [Accessed 7 Apr. 2018]. One Good Thing by Jillee. (2018). You'll Love These 26 "Magic" Ways To Use Witch Hazel · One Good Thing by Jillee. [online] Available at: https://www.onegoodthingbyjillee.com/26-magical-ways-to-use-witch-hazel [Accessed 7 Apr. 2018]. Mama, K. (2018). 11 Great Uses for Witch Hazel | Wellness Mama. [online] Wellness Mama®. Available at: https://wellnessmama.com/60603/uses-for-witch-hazel/ [Accessed 7 Apr. 2018]. Fs.fed.us. (2018). American Witchhazel. [online] Available at: https://www.fs.fed.us/wildflowers/plant-of-the-week/hamamelis_virginiana.shtml [Accessed 7 Apr. 2018].